Take control of the Grim Reaper in a freehand strategy game of plague, pestilence and profit, for PC and Mac. Curious about the title? 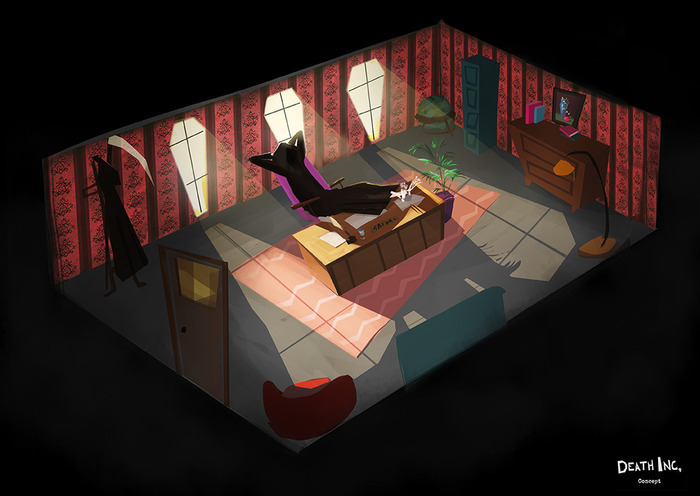 Good, because Death Inc. looks amazing! But first thing first…what is it? Death Inc. is not your typical strategy game. It’s a unique mix of real-time strategy, god game and business sim, harking back to some of the classic Bullfrog games like Theme Park and Dungeon Keeper. 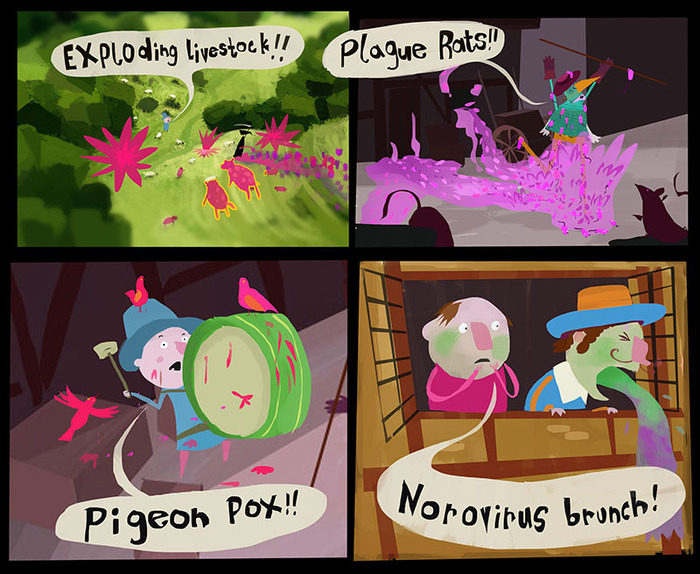 Simply paint your orders into the world and unleash your infected minions on serfs, wenches and noblemen. Every human that falls will join the ranks of your pestilential horde. In between battles, build your business empire on the bones of your victims and strive to become the greatest Reaper the world has ever endured. It’s time to show the artistic side of infection and paint your way to the ruination of mankind. And a bigger office. Every unit in your horde has a primal instinct to attack anyone and anything not affected by the plague. People, cows, chickens… you direct it, they’ll infect it. But beware! Humanity’s not going to go down without a fight. Your potential victims will defend themselves with sticks, swords, bows or muskets, even siege weapons; anything they can find. But why we support this game? Because is made by Ambient Studios, that is a small (eleven employees) independent developer based in Guildford, UK, unexpected centre of the British games development universe (kind of). Founded in 2011 by ex-Media Molecule alumni (does Little Big Planet ring any bell?). And trust us, there guys are good. But they are indie, and guess what, they need money (£300k) to make games! So, if you feel that Death Inc. could be your next addiction feel free to help them on Kickstarter. They’re planning to finish the game before October 2013.